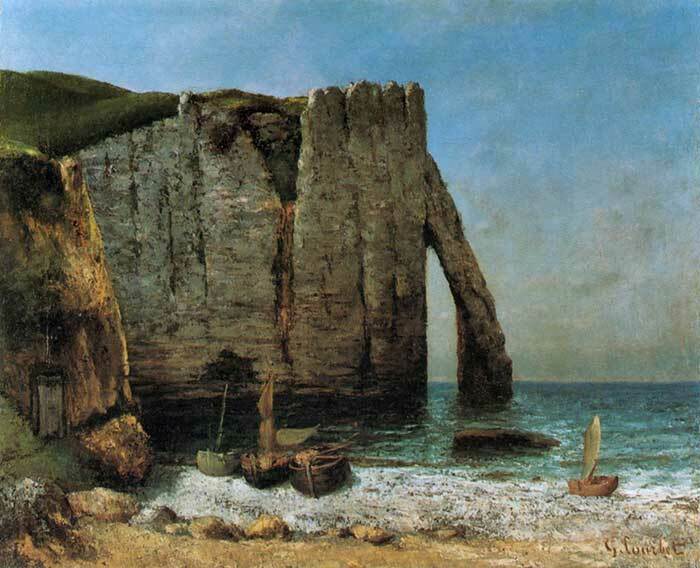 The cliffs at Étretat seem to be a popular subject to paint. 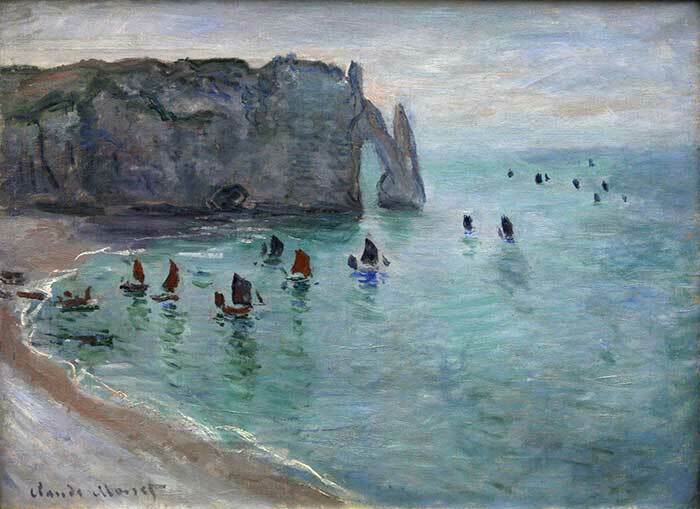 They have been painted by several famous artists such as Claude Monet, Eugene Boudin, Gustave Courbet, Gustave Loiseau and Henri Matisse. 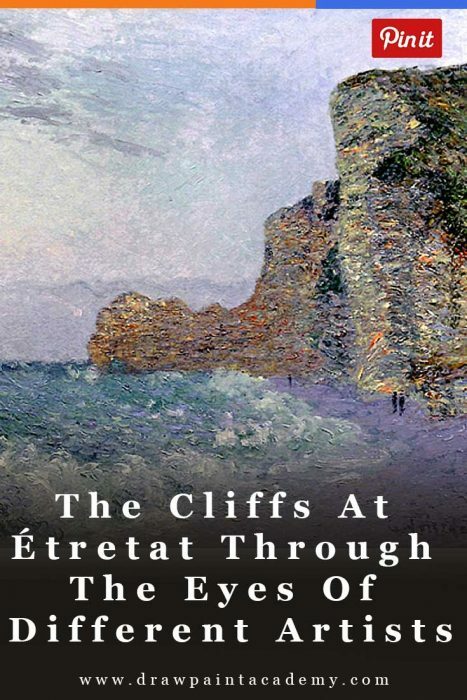 The reason the cliffs are such a popular subject to paint is most likely the naturally strong design created by the formation of the cliffs. 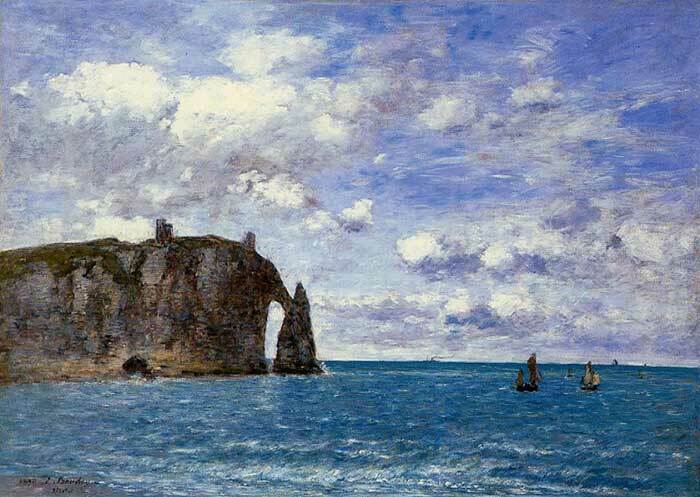 You have a very strong and unique shape created by the cliffs, which contrasts against the soft shapes and lines created by the shoreline, clouds and any waves. It just seems to tick many boxes in terms of composition. 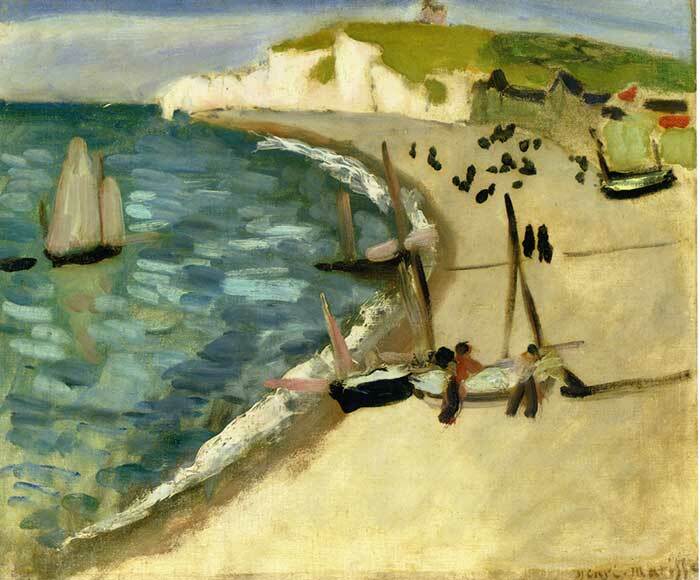 I always find it interesting when you find a subject which has been painted by many different artists. You get a chance to see the world through the eyes of different artists. 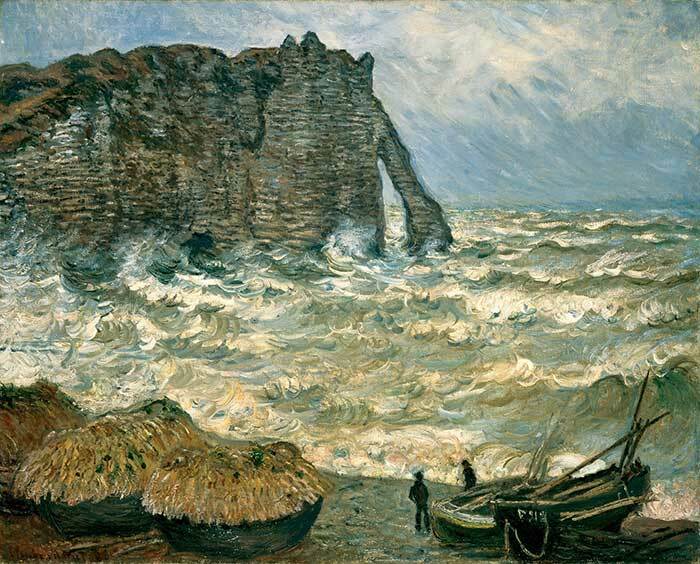 The differences in style, technique and perception all become clearly evident when you see paintings by different artists of the same subject. Remember, the way you see the world may be different to how other people see the world. That is why painting is so different to photography. A camera can capture what is there, but it cannot capture what we actually see. 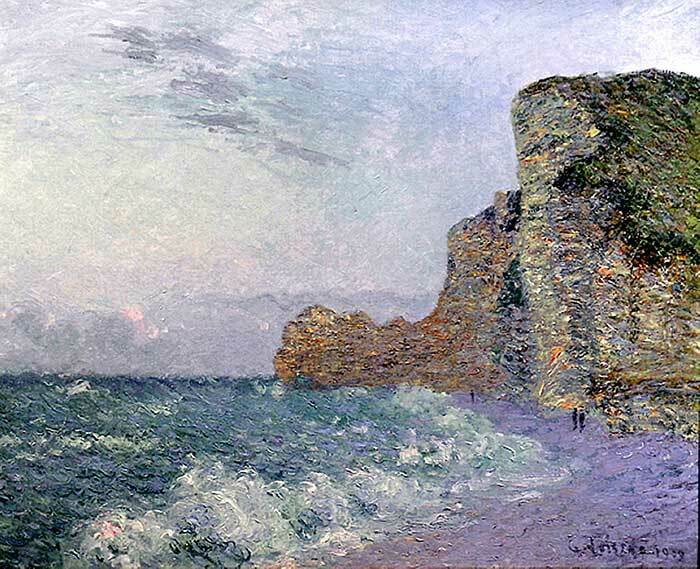 It is no surprise that Claude Monet painted the cliffs at Étretat on several occasions under many different circumstances. 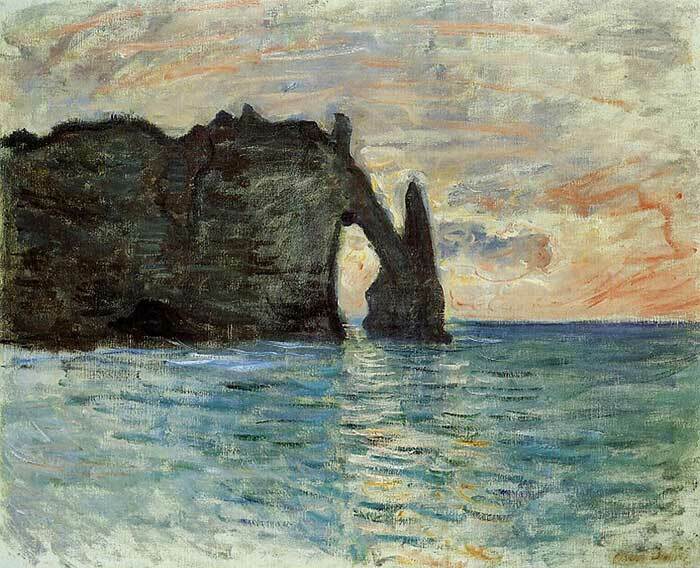 Monet also did this for water lilies, the Rouen Cathedral and haystacks. 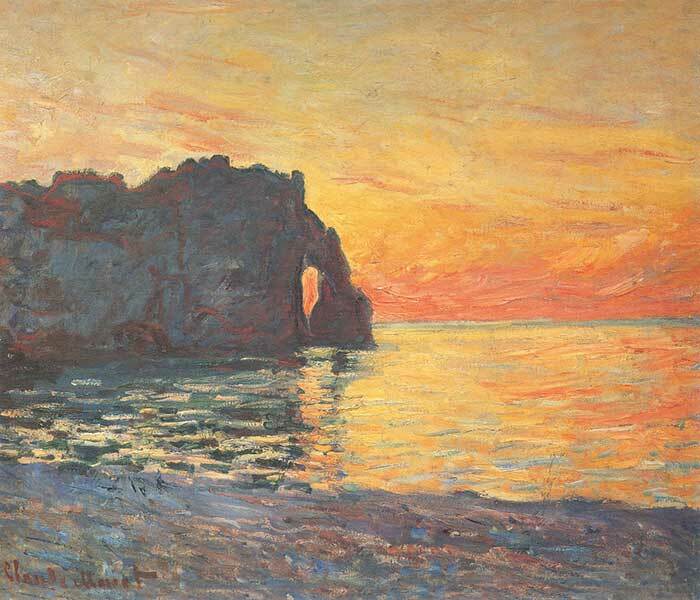 Monet’s paintings in particular demonstrate a brilliant understanding of how light and color work. 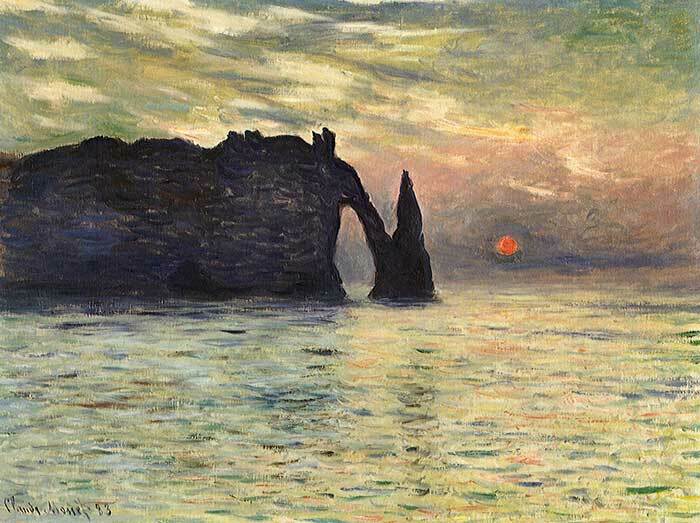 Under the warm light of a sunset, Monet used saturated reds, oranges and yellows and dulled down all the greens and blues. 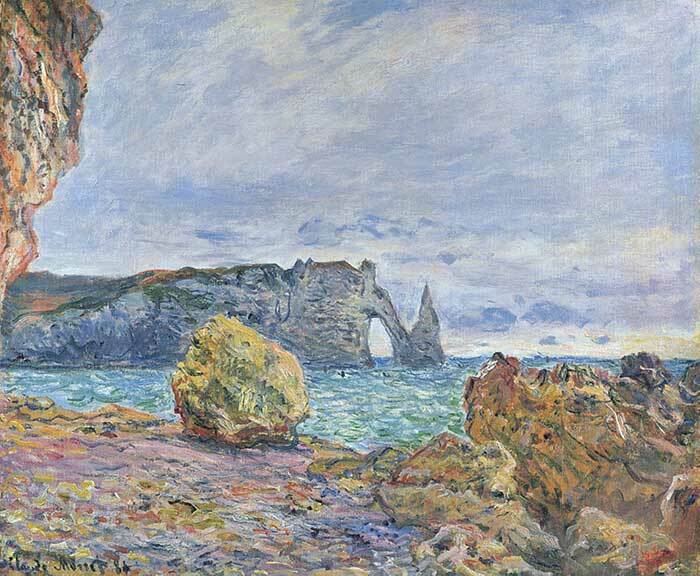 On the other hand, in the cool light of an overcast day, Monet used a dull palette of blues and greens and really restricted all the reds, oranges and yellows. 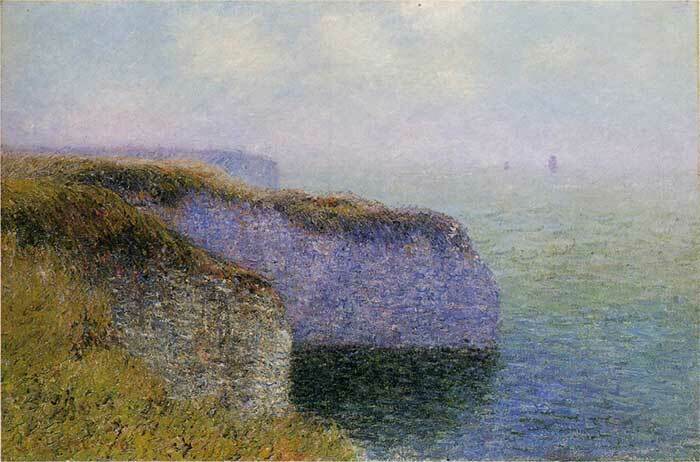 All the colors in Monet’s paintings appear united under the respective light sources. This is what creates color harmony. 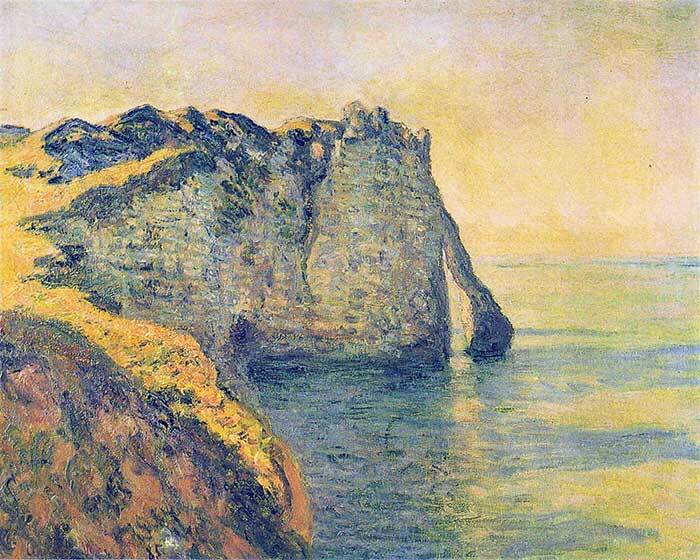 I hope you enjoyed these beautiful paintings featuring the cliffs at Étretat. Which is your favorite painting? Let me know in the comment section below. Great ‘show’ as always. 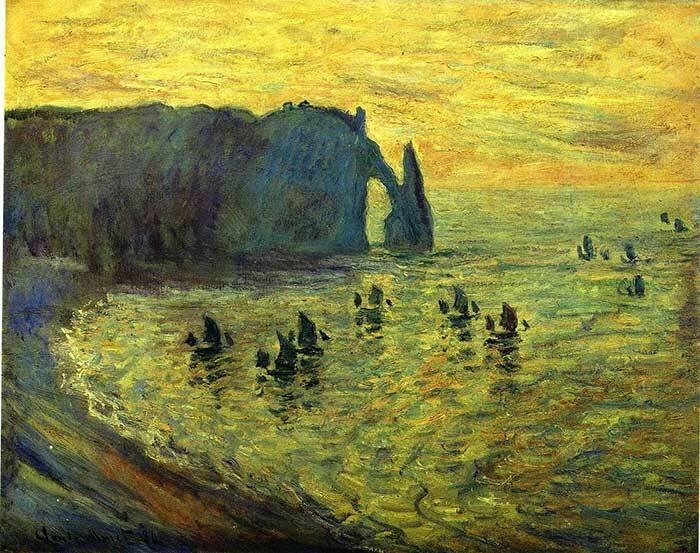 I really enjoy how you make great paintings – and painting overall – so accessible. Thanks! Very interesting article. I loved seeing how the eye sees images differently at different times of day, and in different weather. The first one. Brilliant palette and contrast. What an interesting article! Thank you!